Over the past decade, the shortage of tech talent in the economy has made it extremely difficult to retain IT staff. Today, 50% of Tech businesses in the UK highlight shortage of tech talent as an issue. As a result, there is a ton of companies fighting over the same small pool of talent. This is made even more difficult by the fact that most tech talent have high expectations of their employers. In order to retain the top IT talent long term, a company has to offer their staff something that no other enterprise can compete with. Talented tech staff have the power to choose right now. 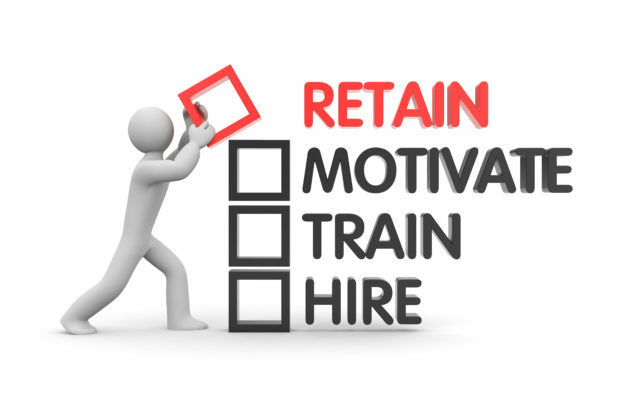 Below we look at 7 ways you can start to retain the top talent in your IT department. Offering flexible working hours to your tech staff is one of the best ways to keep them integrated within your organization. Around 53% of tech candidates consider remote working options a top priority in their next role. Facilitating remote and flexible working in your office can help to prevent them from getting frustrated being stuck in the office. Allowing your team to work on a freelance or contractual basis can be a great way to reenergize your staff. On contract, they can be exposed to a variety of different technologies and innovative short-term jobs. The icing on the cake is that contracts are often better paid with a high daily rate. The IT sector is in a constant state of motion, and there’s never a shortage of new and disruptive technology emerging. Funding your staff to take on some extra training, and allowing them to get to grips with the latest technology can pay dividends in terms of retention. Showing your team that you value their contributions enough to invest in their skills can be extremely motivating. By investing in training you not only improve the ability of your team but also make them feel appreciated as well. This is important because IT staff are passionate about technology. By funding that passion you situate yourself as an employer they want to work for. Whilst money isn’t everything to very talented IT staff, it’s certainly important. If you have a skilled workforce of Tech experts, you should be paying them at market rates or above. If you don’t, you always run the risk of losing your talent to companies and recruiters looking for passive candidates and offering competitive salaries. Ensuring your staff are properly compensated for their expertise should be the bare minimum you do to retain them. Whilst flexible working hours and extra training are very beneficial, you can’t sugar coat a poor basic salary. Starting with a sizeable basic salary and bonuses if a great way to maximize the potential earnings of your staff. It’s not uncommon for tech workers to feel unfilled when they’re stuck in the same location working on the same projects for too long. Moving your staff around the department or the company is a great way to shake things up. By moving them to another position, you force them to grow and learn new skills. Likewise as bonus you boost your productivity by keeping your teams fresh. There’s nothing more demotivating for creative staff than being stuck doing the same routine. Switching it up and moving tech staff around your organization will help to keep them onboard long term. If you want to retain tech staff on a long-term basis, you need to make sure they know that their work is valued. Whenever a staff member does something right, you should be saying thank you to recognize their contribution. Providing recognition makes it clear that you value their work, and makes their job much more fulfilling. If you want to go the extra mile, consider deploying gifts or certificates on a monthly, quarterly or per job basis. These little things will mark you down as a company that cares about its employees rather than one that sees them as a commodity. One of the most important things to remember when retaining tech staff is to involve them in decision-making. Unlike other members of staff, your tech talent will be experts in their field. In most cases, their knowledge of technology will greatly exceed that of management’s. As a result, there’s no one better qualified to contribute to decisions then your tech talent. Allowing your tech staff to make some decisions can be a great way to increase their enthusiasm. On the other hand, excluding talented staff from decision-making is one of the quickest ways to alienate them from your company. Many people go into tech out of passion. In fact, around 73.9% of professional developers consider coding a hobby. As such, you want to be a company that embraces innovation and creates exciting projects and products. Whilst this won’t always be possible, committing to providing an innovative service will keep the spark alive in your IT department. When you can’t afford to outbid other companies in your market, committing your culture towards fostering innovation will help to keep talented staff onboard. Ultimately if your staff are satisfied with your company culture, they’re going to stay long term.